The weather this week has been very cold with morning temperatures in the low 30's that climb up into the low 60's throughout the day. The surface temperature this week has dropped down to 54 degrees. The hot bite this week is still trout with many anglers having success fishing sand flats. For trout, most anglers are using either power bait or small pieces of nightcrawlers. I also recommend using kastmasters or small spinners. Our last plant was on 12/13/17 of 1,000 LBS. Catfish are still biting in deep water most anglers have been catching them in 30 to 40 feet of water. Best baits to use would be either anchovies, chicken liver or cut sardines. Most anglers are fishing around points and rock walls. 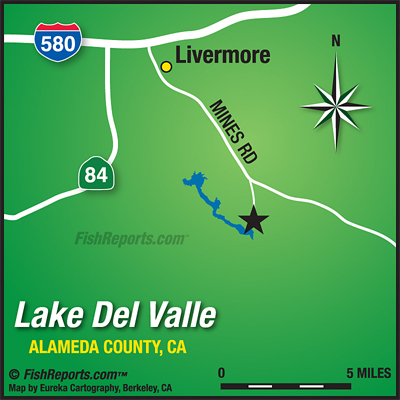 Our good friend Dr. Al Hurwitz came out this week to drag some line and here is his report " Al Hurwitz of Saratoga and Abbey Lev of Sunnyvale trolled the lake on 12/14/17, looking for Rainbow Trout. The reservoir had dropped about 15 feet from its high point earlier this year, and there was more water staining and less clarity than previously. Surface water temperature was 55-56 degrees. We trolled over structure, by points, and in the flats with only minimal success and a few strikes. We caught and released one Rainbow about 1.25-1.5 lbs and one Smallmouth Bass weighing 1.5 lbs. We were flat lining with light weight rods using 1/4 oz. Rooster Tails in various colors (the fish seem to like variations of chartreuse). Applying scent to the lures probably helps. I think trolling results will get better as the water clarity improves. 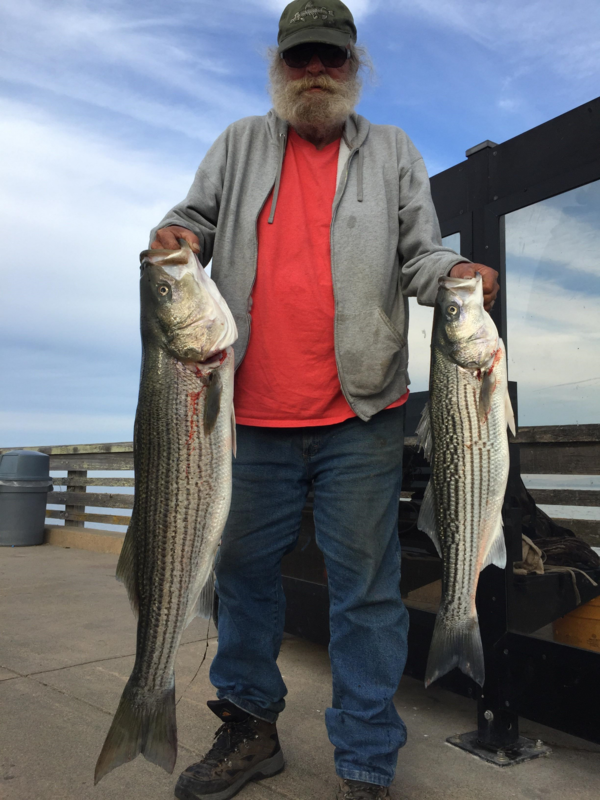 For now, I suggest using vibrating lures with bright colors trolled at 2 mph, trolled 5-10 feet below the surface. Look for better trolling water uptake in the areas of Heron and Swallow Bays. Fishermen using artificial "Powerbait" and natural baits will do well in any area of the lake, since the scent will draw in the fish, even in stained water. Happy Holidays! -Dr. Al Hurwitz"